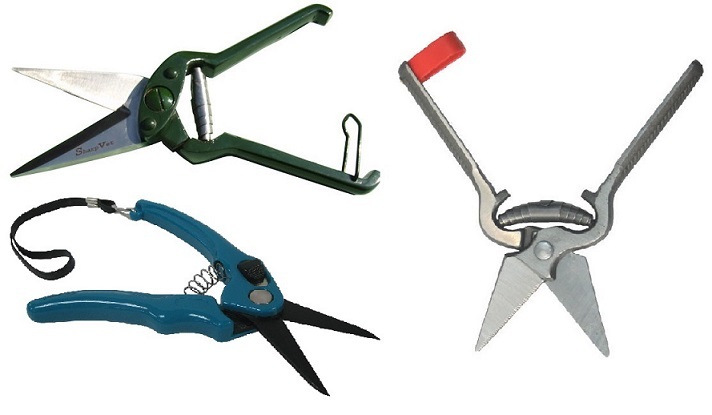 Stainless steel foot rot shears with one serrated blade, strong spring, equipped with a safety clip. Used to trim sheep, dairy, and goat hooves. 32-443 foot rot shears serrated 9 1/2"